Copy space. 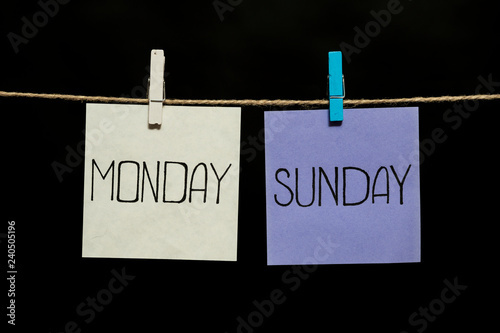 Monday and sunday. Two colored sheets with the names of the days of the week. Stickers attached to a clothespin.